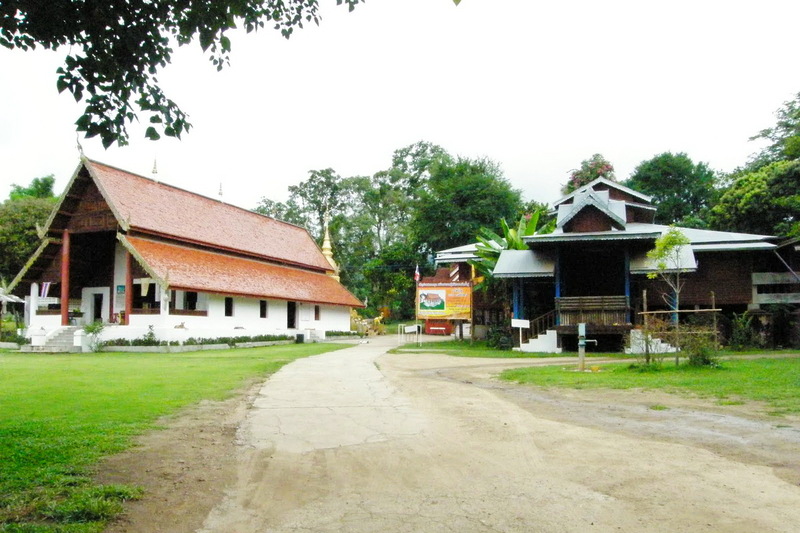 Nam Hu Temple in Nam Hu village northwest out of town is a picturesque one with an unusual Buddha statue. 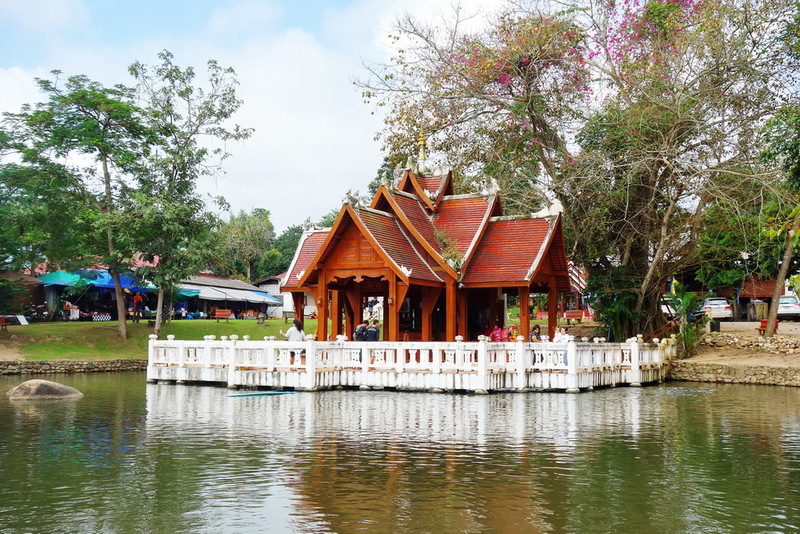 When King Naresuan woke up at dawn, according to his dream, he ommanded the troops to build a pagoda to store the ashes of cremated dead and hair of Princes Supankalaya in Pai. He also erected the Buddha statue to dedicate merit to the Princes. 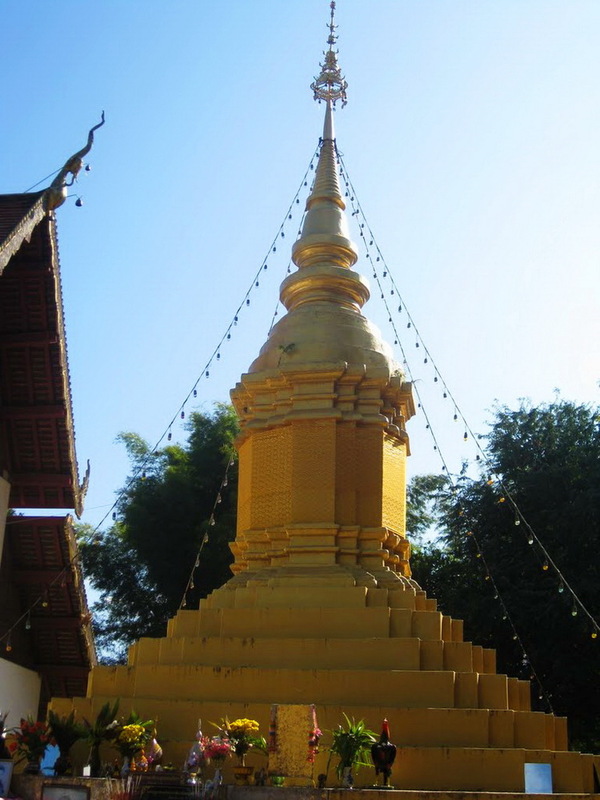 This is the story of its Buddha that makes this Nam Hu Temple interesting and famous in Pai Province. For the rest do not expect to find a amazing architecture and breathtaking statues. 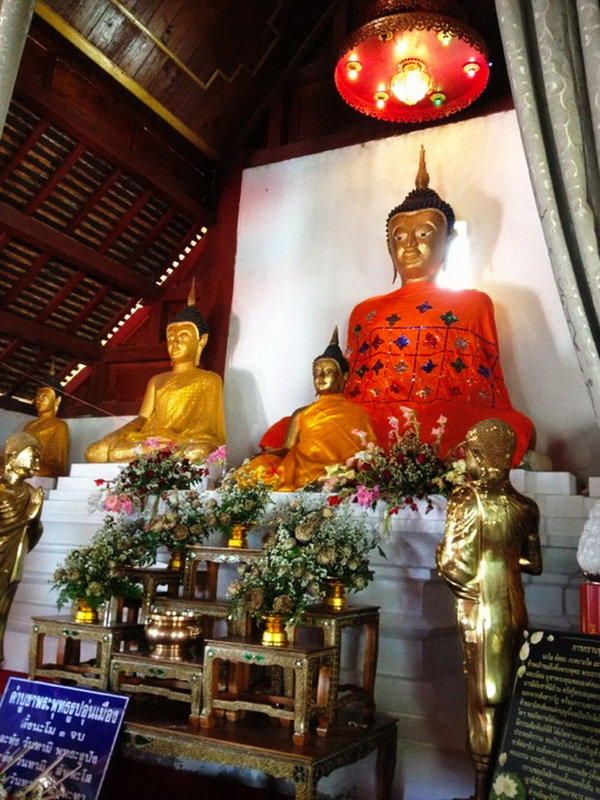 The Buddha image (Luang Phor Une-Mueng) from the Chiang Saen period located at Wat Nam Hoo in Vieng Tai sub-district of Pai, Mae Hong Son province is highly regarded as one of the most sacred Buddha images in Thailand and well respected by the Pai people. The bronze Buddha is shown seated with his legs crossed measured 88 cm wide x 111 cm high. The image is more than 500 years old and there is no clear history recorded. But it was believed that King Naresuan the Great casted the image for the royal benevolence for his elder sister “HRH Supunkalaya” who was taken to Burma as hostage and she died there. What is unique about the Buddha image? The head of the image is hollow. Since the bun of the image could be opened and is always full of water and the water is believed to be sacred. Visitors are welcome in the temple every day, but due to the issue of belief and appropriateness, the hair bun of the Buddha image is no longer allowed to be touched. The holy water, however, is bottled and made available.